For decades, the open office has been heralded as a way to increase employee collaboration and improve productivity. And the use of the open office exploded. Today, 70% of offices are open offices. But over the last few years, study after study have come out showing that all the supposed benefits open offices are suppose to bring are actually myths. While open offices do allow companies to allocate less office space per employee, the increased collaboration, productivity and employee well being have not materialized. 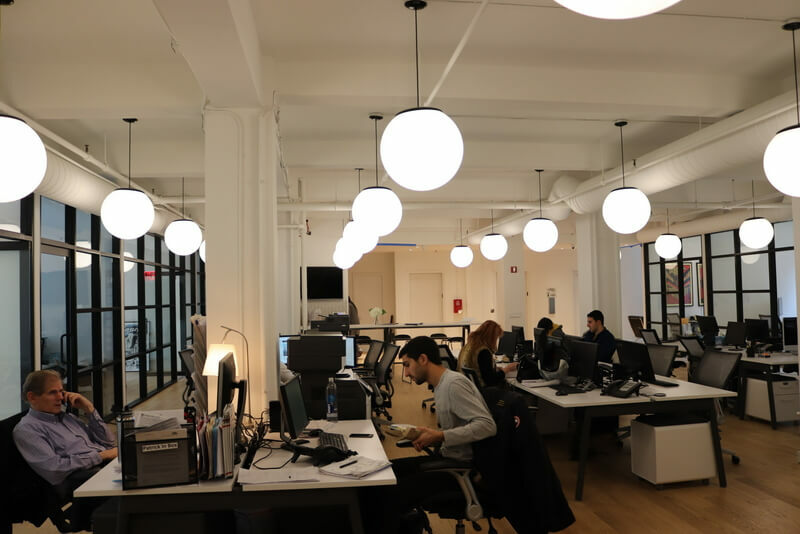 These studies showing the many drawbacks of open offices mean that in the past few years, this office layout is falling out of favor after so many years of prominence. So what does the open office actually do for employees? Ensuring that a business is running smoothly and efficiently is important, and we’re always to maximize business performance. And one of the things that could be hurting business efficiency the most is the open office. Employees don’t like to feel like they’re in a fish bowl with everyone watching them. 95% of respondents in a study of 10,000 people said that working privately was important, which is the key component missing in open offices. This lack of privacy and increased distraction resulted in a 15% drop on employee productivity. One of the biggest claims has been that by putting employees together in an open layout, it would foster an environment of collaboration. With fewer barriers, it would be easier for people to communicate and collaborate. However, a study by a Harvard Business School professor found that it does the opposite. Face to face collaboration decreases and online communication increases. Face-to-face collaboration decline 73%, email usage increased 67%, and IM usage increase 95%. Not only is the open office bad for productivity and company efficiency, but it’s bad for employee well being as well. It probably does not come as a surprise that employees in closer proximity to one another results in a greater spread of illness. According to the New Yorker, employees who worked in open offices took 62% more sick days than employees working in a more traditional office environment. In addition to employees taking more sick days, the open office layout takes a toll on employee morale and well being. According to another study, these layouts resulted in higher levels of stress, conflict, and higher turnover. So if you’re looking at moving your company into a new office, it might make sense for you to consider skipping the open office plan. Base on the data, it would be better for your bottom line and better for your employees, and that’s as winning a combination as you’re going to find.